The buzzing beam in the present digital video world is a 360-degree video camera. This can be used to capture all angles of a particular video that leads to immerse in the real world. 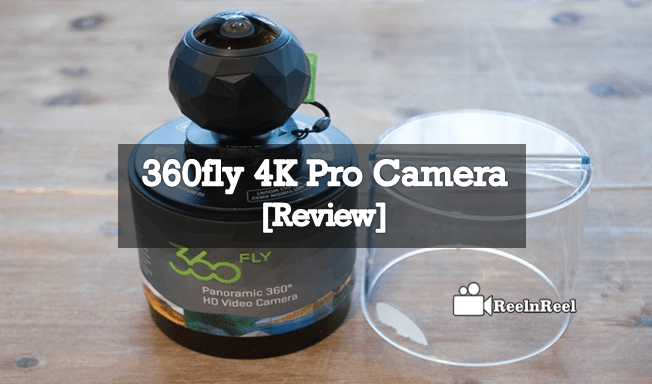 One of the best performer that has become the headache of competition for the all the top brands in the market is ‘360fly 4K Pro Camera’. 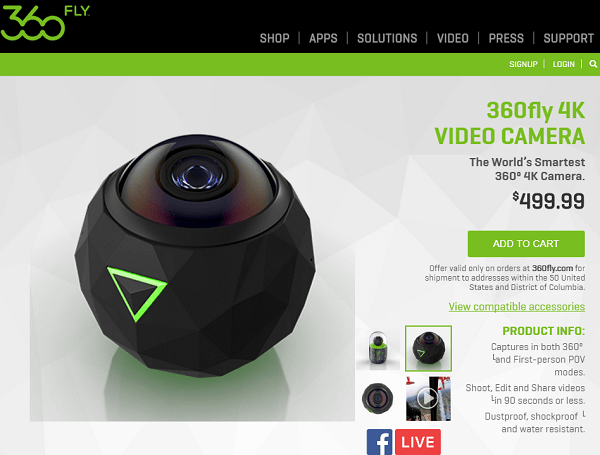 This can capture the 360-degree videos with a high quality resolution of 4k videos. It is most flexible to mold the video that can be fitted on major trending social sites like Facebook and YouTube by using different VR headsets. It can resist from the environmental conditions as it is dust proof, shock proof and water proof VR video camera. This is available at the cost of up to $499 that everyone can afford. The mobile app of ‘360 Fly 4k’ can enable the mobile users to broadcast the live stream from the mobile itself. Including that, the editing and capturing can be done by sharing on trending social media platforms Facebook, Twitter and YouTube. To have the bulk sharing the website of ‘360 Fly 4k’ can be operated on a desktop for the ultimate results. The long press of the power button will switch ON and OFF automatically. It can be easily connected with other devices to operate at an instant. The resolution is 2880 x 2880 pixels. The inbuilt memory storage is 64 GB. The length of the field view is 240 degrees. Withstand of charging is up to 2 hours 30 minutes. The capturing rate of the video is 50Mbps. The capacity to have resistance in water is 33 feet which is 1 ATM. Up to 1.5 meters it can oppose the shock. Stereo AAC 48 kHz 96 Kbps is the format of Audio. From 40 to -20 degrees temperature is the adjustable one. The weight of this device is 172 grams which is very light weight when compared to other devices. If you want to be in the immersive world of video with the virtual reality experience then just pick the 360Fly 4k camera. This brings the dreaming words into the real time.